I don’t know if this is true for everyone else, but research when writing a book is kind of an endless hole of procrastination for me. It’s excusable, sure I’m not writing, but hey! I’m researching, that’s just as important. Who can argue with that? Still I need some structure around it because I can lose hours chasing down things that might not be useful to me. And I tell myself that research isn’t as valid as writing perhaps because I enjoy it so much. But the research is what underpins everything, it’s what saves me from going down the wrong road while writing. My current manuscript is set in Seattle in 1982. Sure we all remember the 80s from movies, from pop culture, from our own history, but what was it really like? What was it really like in Seattle? I’ve been remembering, researching and interviewing people older than me to make sure I get it right. I keep a list of details I need filled in as I write for further interviews and research. And these days there’s all kinds of archives, things I couldn’t even have imagined when I was studying library science 20 years ago. And each is it’s own deep hole to fall down. Seattle, 1982, view from Beacon Hill. Yesterday I sat down to write, I went to close my browser (and shut off my internet, who has self control?) and right at the top of Facebook (who knew FB would actually be a useful research source) was a post from Vintage Seattle, about something in the 80s. So instead of closing my browser I scrolled back a ways, wondering what else I’d missed recently in that group that might be useful. 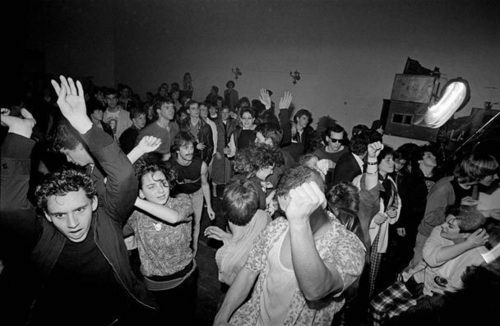 That led me to discover the Seattle Punk Photo Archive which WOW I really needed (turned out to be super useful for a bunch of stuff I was trying to find years and participants for). And that lead me to where productivity usually goes to die: YouTube. And it turned out to be the most useful part of my day (besides the actual writing). I have been having a hard time describing 1982 punks in my book. I feel like I’m describing them accurately, albeit somewhat from memory, and they just aren’t enough. They aren’t loud enough, they aren’t bright enough, they aren’t rowdy enough. And then I found these videos and discovered I was spot on in my descriptions. The problem is what was so punk and so out there in 1982 is just the usual stuff today. Those punks back then? We’re all in our 40s and 50s now, and some of us don’t dress any different than we did 25 or 35 years ago. My fictional punks seemed too mainstream because who they are is mainstream now. But it meant something then, and now I know my task as a writer: it isn’t to comically describe those punks as bright, loud, and brash as they were, it’s to describe that world 33 years ago and how different it was from ours now, because only against that background will how outrageous those punks were really stand out. Categories: bookish, writer woes | Tags: finding history where you can, gay fiction, glitter punk go-go boys, music, punk, research, Seattle history, seattle punk, writing, writing process | Permalink.